Who Are Tomorrow's Leaders in Ocean Conservation? On World Oceans Day 2014, Nancy Knowlton and Elin Kelsey launched #OceanOptimism, a hashtag used by researchers and practitioners to share marine conservation successes globally. 60 million tweets later, there's a lot to be hopeful about. 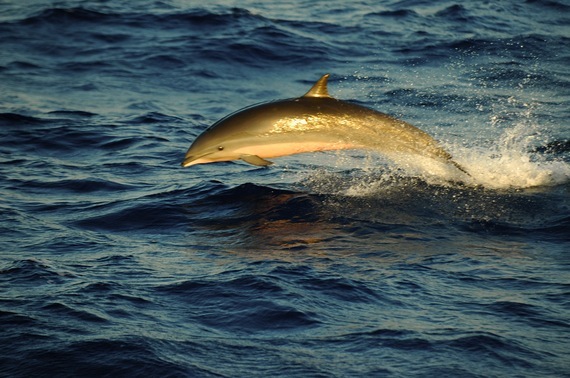 I spent the past few weeks "catching" hope at the IUCN World Conservation Congress in Hawaii. President Obama drastically expanded the Papahānaumokuākea National Monument to 582,578 square miles to serve as a sanctuary for endangered and imperiled marine species. The Russian Arctic National Park now protects Franz Josef Land, a group of 190 extremely biodiverse, northern islands. The pacific reef Coral Castles, once thought dead, is showing signs of new and revived life even despite 2016's record-breaking heat. The UK government plans to ban microbeads in all products by 2017 to stop the plastics from entering the oceans and potentially entering the marine foodweb. While these solutions pinpoint awe-inspiring success, they are usually local in scope. Where are today's global-scale, transformative ocean solutions? "Our Problems are exponential, but our solutions have been linear. We need to increase the speed, scale, efficacy, and sustainability of our conservation interventions," explains Alex Dehgan, the co-founder and CEO of the DC-based tech startup Conservation X Labs. "Conservation science must continue its shift from being a descriptive, discovery-based science to a transdisciplinary field that seeks to also engineer solutions. While conservation science can help define the problems, it alone does not possess the solutions. However, powerful new tools for conservation exist and offer hope." Dehgan previously worked as the chief scientist for USAID, where he created the Global Development Lab, a space for social-based innovators and entrepreneurs to create and scale solutions in public health. Realizing a need for similar, transformative solutions in conservation, Dehgan, along with Paul Bunje of Xprize, created Conservation X Labs. The organization aims to create and utilize technologies to transform the field of conservation in a number of ways, focusing on "revolutionary solutions rather than evolutionary ones." Conservation X Labs is building their own technologies, like the world's first DNA Barcode Scanner, a tool that can be used to slow illegal wildlife and timber trafficking and trade. Australia's innovationXchange within the Department of Foreign Affairs and Trade (DFAT) is funding an AU$3 million global challenge, The Blue Economy Challenge, to source new solutions and engage new solvers to rethink the future of aquaculture to improve both food security and enhance sustainability. Conservation X Labs partnered with the innovationXchange as well as SecondMuse and the World Wildlife Fund (WWF) to implement the challenge, as it is a great opportunity to source transformative solutions for ocean conservation. The Blue Economy Challenge seeks innovative solutions that will reduce the burden on the environment and improve food security in developing countries of the Indian Ocean for three issues in aquaculture: highly nutritional fish-free aquaculture feed replacements; new ocean products; and, new technology and practices for aquaculture farmers to improve the efficiency and environmental and economic sustainability of aquaculture farms. The winners of the Challenge will be announced at Our Ocean, and the top 20 innovators are featured in this blog post, From Sea Cucumbers to Spirulina: Meet the 20 Finalists. This fall, Conservation X Labs and WWF will launch Ocean X Labs: an accelerator that will bring transformative, ocean-based conservation innovations to scale. Oceans X Labs will provide entrepreneurs, innovators, problem-solvers, and scientists access to lessons in business and finance, guidance and mentorship from industry leaders, and time and resources to continue building and prototyping their products. The program is also building a web platform to be used as a virtual co-working space, so that people from many disciplines and backgrounds can collaborate to solve the wicked problems our oceans face today. Enter our ocean heroines and heroes: ordinary people with big ideas for conservation. Small, start-up companies have already begun to pepper the market. A number of them submitted their ideas in The Blue Economy Challenge. New Wave Foods has created shrimp-free, kosher, and vegan shrimp that is made from algae in an effort to stop mangrove forest degradation associated with shrimp farming. Coral Vita farms corals to rebuild reefs that are resilient and hearty for both ecotourism and habitat restoration. MicroSynbiotiX is growing algae for fish feeds containing vaccinations for common diseases in aquaculture to reduce fish mortality. #OceanOptimism lies with these unique thinkers and dreamers who have the capacity to revolutionize ocean conservation by drawing on their own, diverse experiences and knowledge. It's an exciting time for conservation--there is great potential for creative, positive and transformational change. Julia Luthringer is a Conservation Innovation Fellow at Conservation X Labs and a 2017 NOAA Knauss Finalist. She's a recent and proud graduate of the Yale School of Forestry and Environmental Studies, where she studied marine policy and sustainable fisheries management.